Tardis lands at local library!!!! 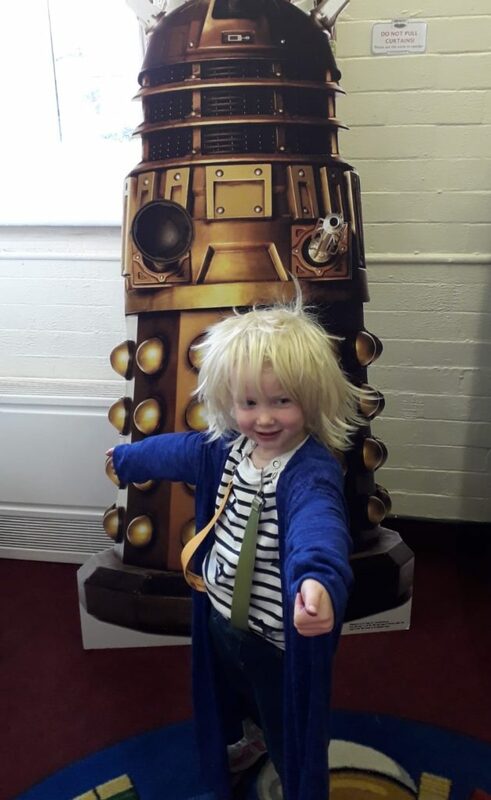 Saturday 24th November saw Doctor Who’s tardis land at Kirkheaton Library along with one of his/her most formidable enemy – a Dalek!! 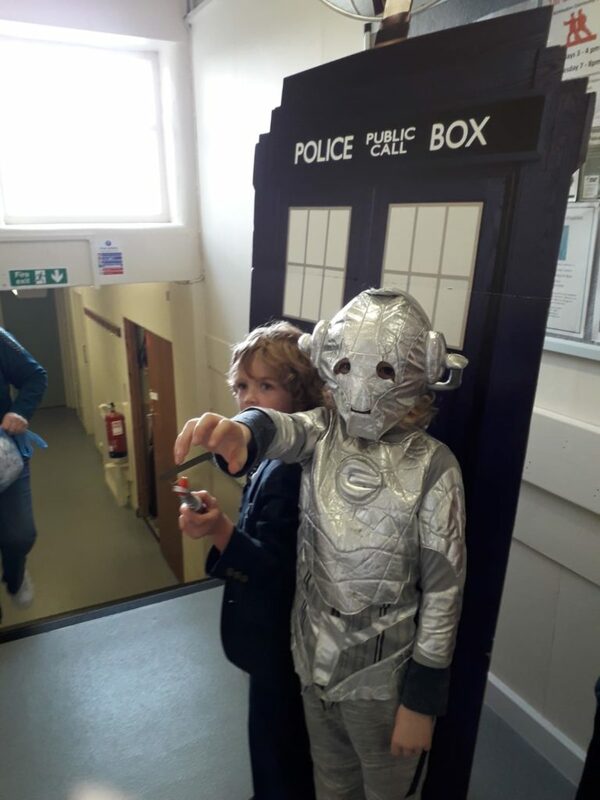 They were there to celebrate Dr Who Comic day courtesy of Friends of Kirkheaton Library who organised the event. 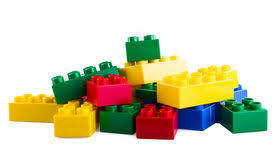 Children had a go at various activities which included making their own Dalek, constructing a Dr Who model out of Lego and a variety of Dr Who colouring sheets. 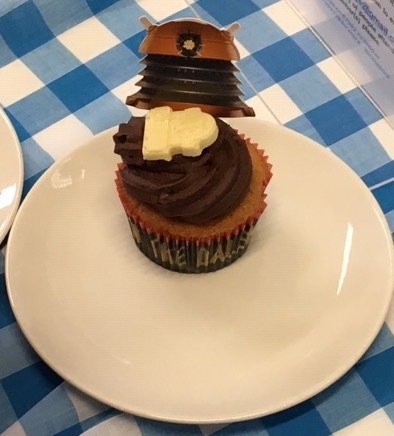 Yetty’s Coffee Shop had Dr Who themed cakes including a Dalek cake on sale. Photos could be taken with the cardboard Tardis and Dalek. Dr Who fans Ian and Jonathan, brought sonic screwdrivers, Dalek voice boxes, Dr Who episode models and K9 for the children to handle. 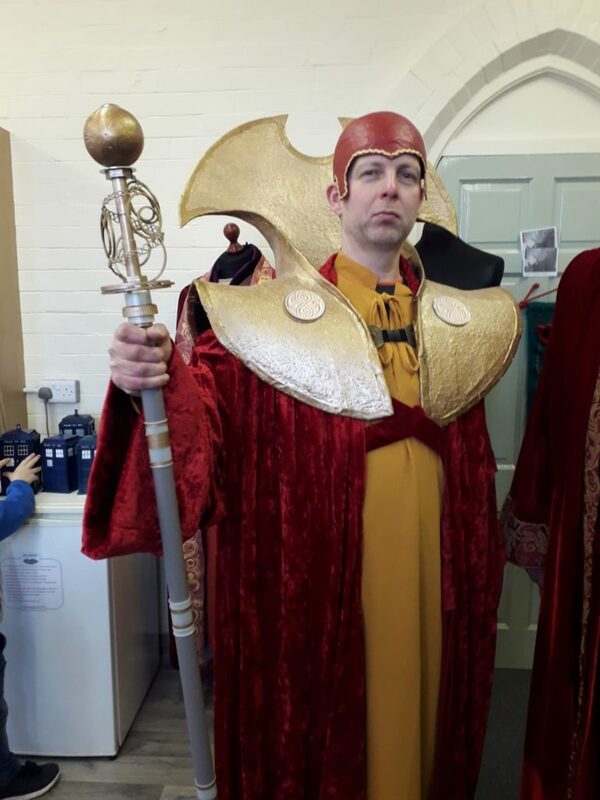 Ian also wore a costume from the series. 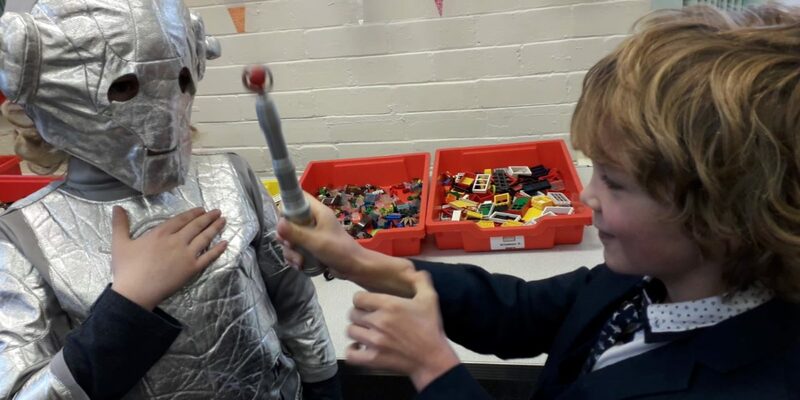 Prizes were awarded for best dressed Dr Who characters – won by Byron and Ethan, best model and best lego model. 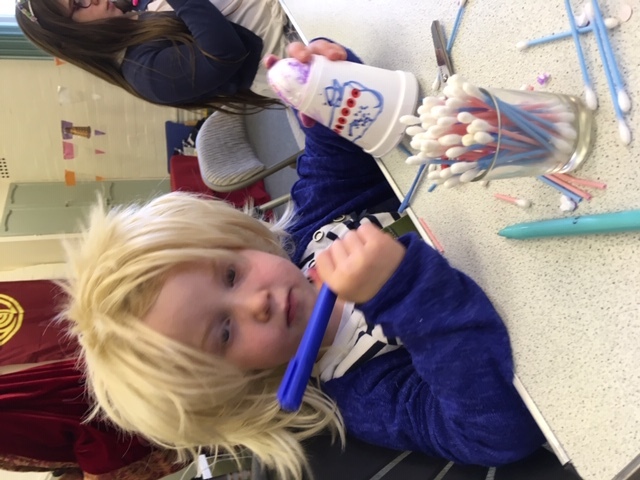 Visiting adults also enjoyed dressing up! 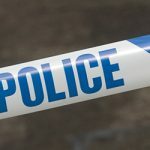 The library has a selection Dr Who books which can be borrowed.